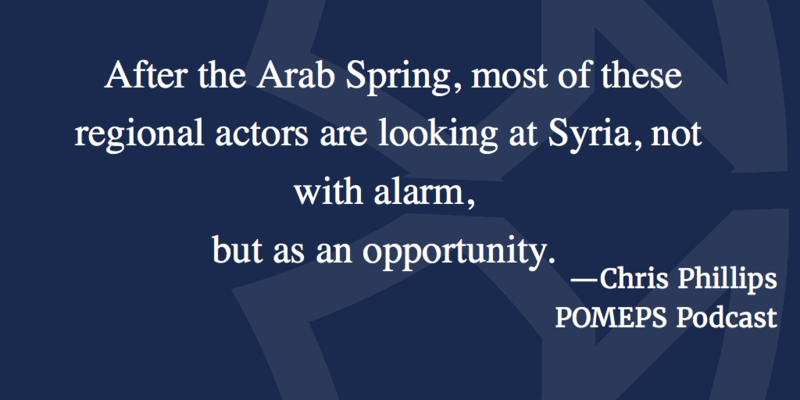 On this week’s podcast, Marc Lynch speaks with Chris Phillips about international politics in Syria. Phillips is a Senior Lecturer at Queen Mary University of London He is also an associate fellow at the Middle East and North Africa program at Chatham House. 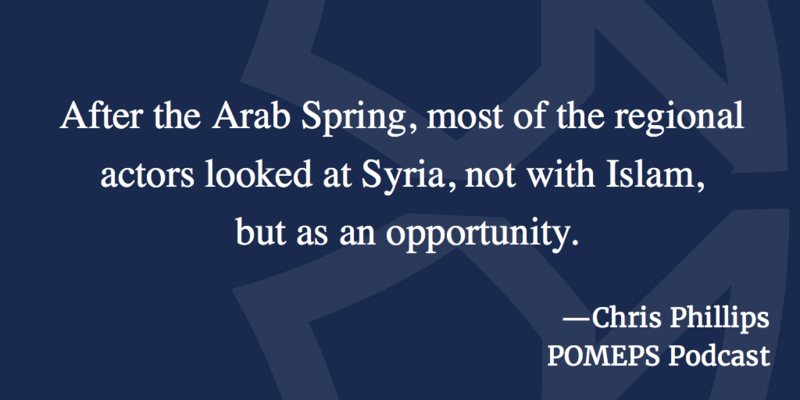 His most recent book is The Battle for Syria: International Rivalry in the New Middle East.